I like making lists, so this is pretty much the perfect figure site for me? I really adore comedies, fluffy romances, and musicals. My favorite game series is the Tales series, my favorite manga is The Violinist of Hameln, and my favorite anime is Ouran High School Host Club. you have the best avatar photo ever! that is just too cute with sebi and the penguin! 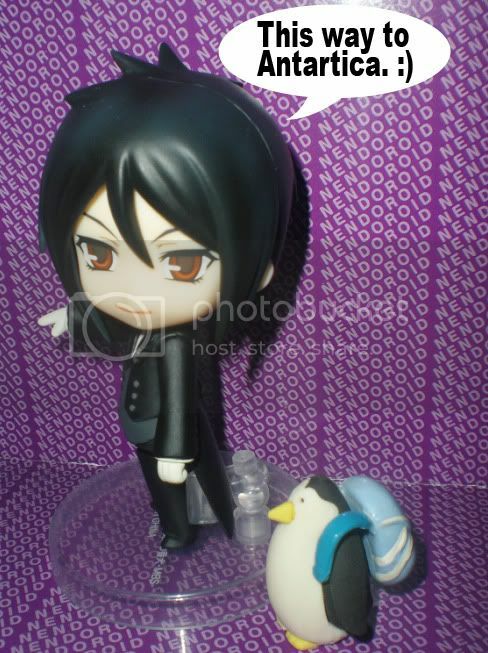 Haha, Mr. Penguin there is an Iwako eraser... I found him randomly at Coach House Gifts, but there are a lot of places on-line that have them too! happy holidays to you tokunaga. have a safe one.